Why bother deciphering a recipe over 150 years old? You can take a collection of words and measurements written long ago, and turn it into a physical object. You can create something that looks, smells, and tastes just like it did hundreds of years in the past. And that’s the next best thing to time travel: it lets you understand a little bit about another way of life. I don't think i'm going to find too much bear meat in the UK, and turtles arent that thick on the ground either.. We do have farmed Wild Boar tho....so that is going on the menu. I love some of the drinks and Cocktail recipes tho and i hope you join me in trying a few out and raising an ancient toast....to a period of time that has made happy the hearts of Men for as long as Man has been around. .
And to finish...i see that Lady Suuuuuzanne...is making her Grandma's Mac and Cheese... and the blog, maybe even has her grandma's recipe on it......!!! Sir Dayvd, I must say you pretty much covered it all there for me. Yes, Lady Suzanne made her famous and delicious home-made Mac 'n Cheese and shared dinner with my "Mum." I have to admit that the good old Kraft Mac 'n Cheese out of the box is still a favorite, too; especially with a big old slice of Texas Toast at the bottom of the bowl and plenty of pepper. 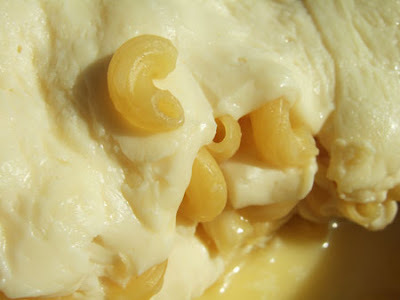 For you Colonial Gastros across the pond...here is the recipe for Cauliflower Cheese. who may be turning 51, but is still an 8 year old inside! funny you should say that as i was this afternoon making some chocolate mint cookies...i got off a TV programme this morning. I did bother putting any in just used brown sugar i had already. 1. For the biscuits, preheat the oven to 180C/350F/Gas 4. Line a baking tray with greaseproof paper. 2. Beat the butter, sugars and peppermint extract together until smooth. 3. Beat in the eggs, a little at a time, until well combined. 4. Fold in the flour, baking powder and chocolate chips until well combined. 5. Spoon tablespoonfuls of the mixture onto the baking tray, leaving 2.5cm/1in space between each biscuit. 6. Bake in the oven for 10-12 minutes, or until pale golden-brown and still slightly soft. 7. Remove from the oven and set aside to cool for 5 minutes. Carefully remove the biscuits from the baking tray and set aside to cool completely on a wire rack. 8. For the topping, beat the mascarpone, peppermint extract and green food colouring, if using, together in a bowl until well combined. 9. Spoon a little topping onto each biscuit. Meanwhile, melt the chocolate in a heatproof bowl set over a pan of simmering water (do not let the base of the bowl touch the water). 10. Using a pair of tongs, dip each biscuit into the melted chocolate and set aside to harden on a wire rack. They are cooling in the fridge as i write...for snack treats with cups of Tea..during my working week. You guys are making me hungry and I just pigged out at a marvelous brunch with family and friends before loading the newlywedds on Royal Carribean Freedom of the Seas. Planning on trying out some ancient recipies and Sir D's Califlower concoction when we get home. 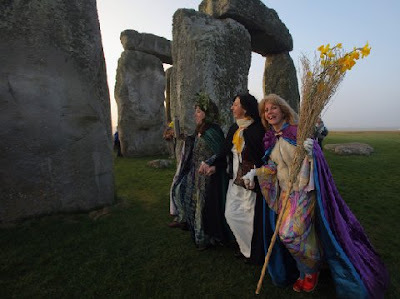 Happy Birthday tomorrow Lady S and happy Spring Equinox to all!